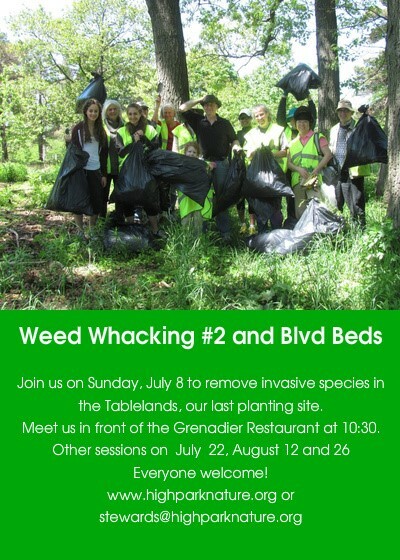 You are invited by the High Park Stewards to Weed Whacking and Boulevard Beds – July 8. Please meet us in front of the Grenadier Restaurant at 10:30 am. We will work until 12:30. For your protection, please dress as in long sleeves and pants, closed shoes and socks, a hat and bring water and sunscreen. We will supply tools and gloves. Check our website after 9 am if weather is questionable. We really can accomplish a lot in a short time.